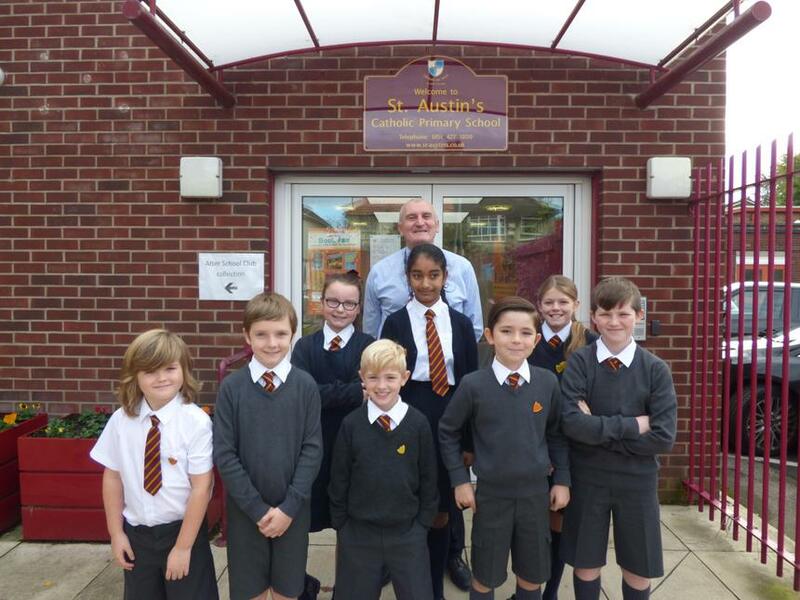 I shared with the children how much I enjoyed this weekend as I went to the Rugby League Grand Final on Saturday and then shared in the parish celebration of the feast of St. Wilfrid on Sunday. It seems our pupils of the week also had an eventful weekend with activities ranging from entrance exams for secondary schools, gymnastics training, football and rugby fixtures, visits to see relations in Lancaster and North Wales, and watching the Rugby League Final on TV. It is hard to believe we are nearly at the end of our first half term. All of the children said how much they were enjoying the first term though the work is harder! Favourite lessons were maths and history. We spoke about ‘primary sources’ in history and the children were thrilled when I showed them the original school logbooks which date back to 1900, over 118 years ago! Have a great final week before a well earned half term break !